Home » Posts Tagged "Steve Dobrogosz"
Norways no 1 Record of all times. An update for the Arild AndersenTrio. 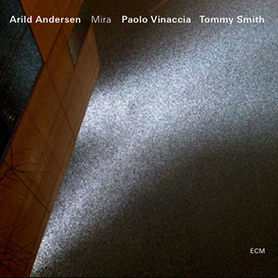 Arild Andersen trio is arguably one of the best European team right now. The Quintet played at Queen Elisabeth Hall on Saturday November 16. The trio Carsten Dahl,Arild Andersen,Jon Christensen opened the festival on Friday March 30 .